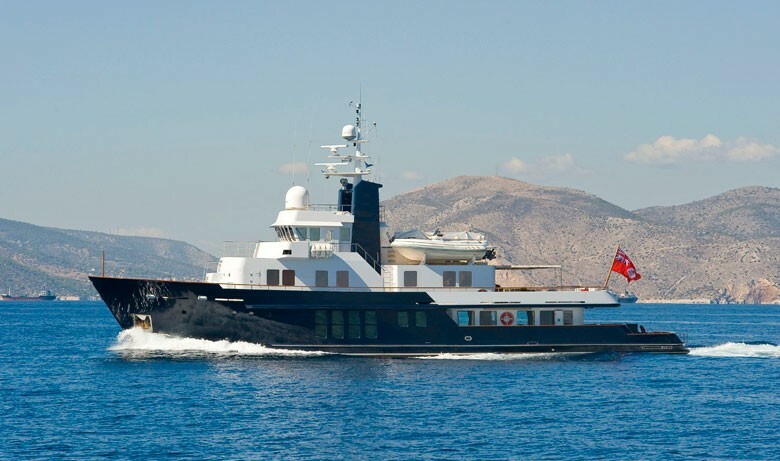 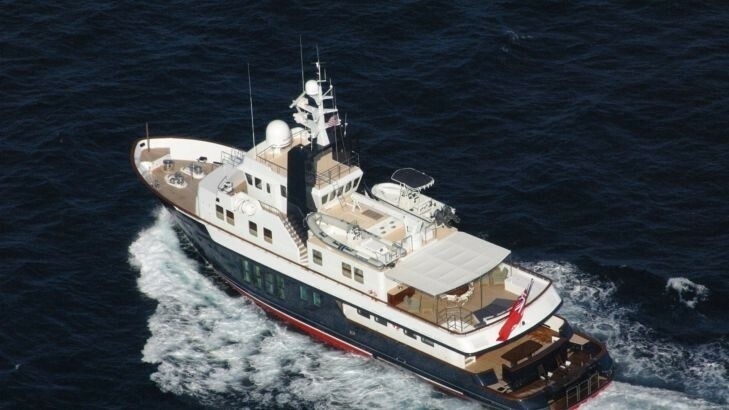 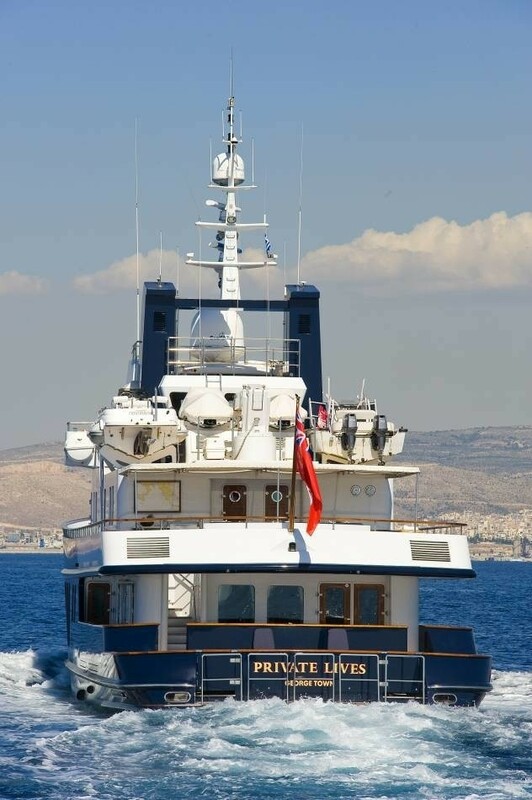 M/Y RH3 (Ex PRIVATE LIVES) is a 36m (120') 2003 steel expedition (explorer style) motor yacht built by RMK, Turkey, with naval architecture by Vripack International. 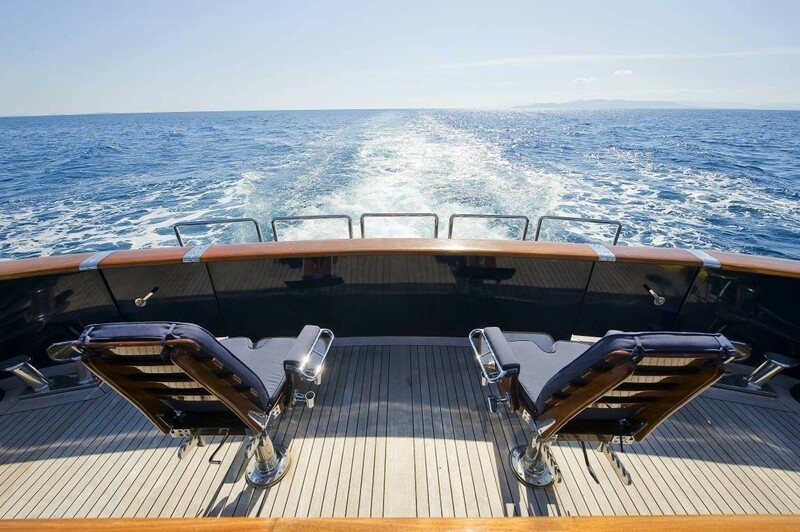 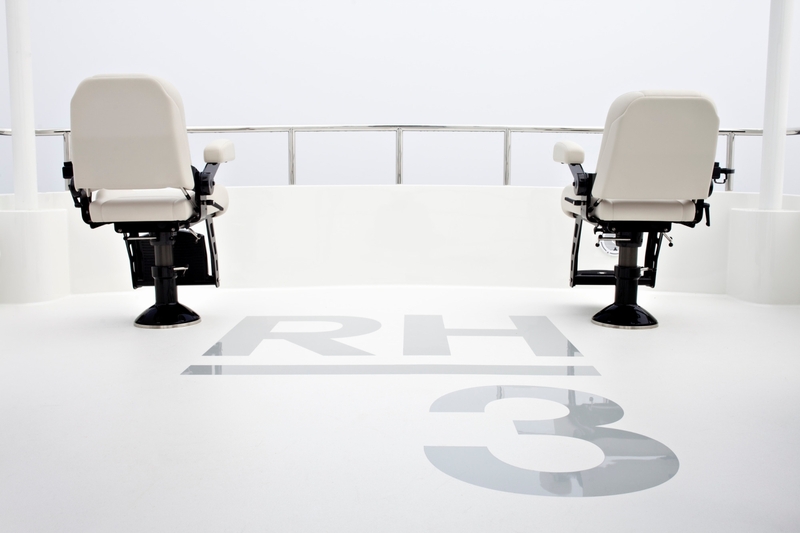 RH3 is a stable and strongly built yacht with very comfortable accommodation for up to 10 charter guests. 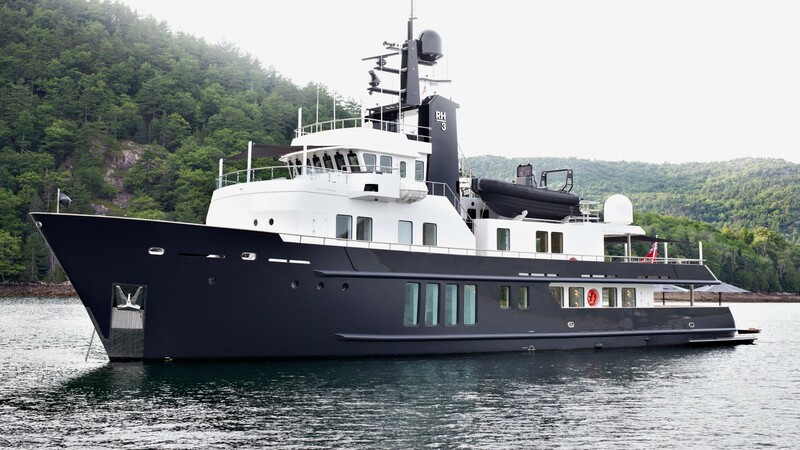 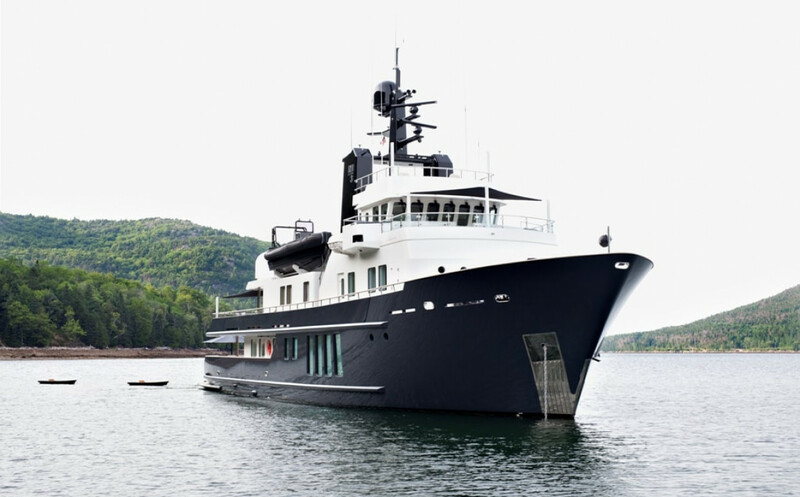 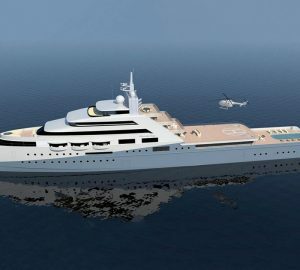 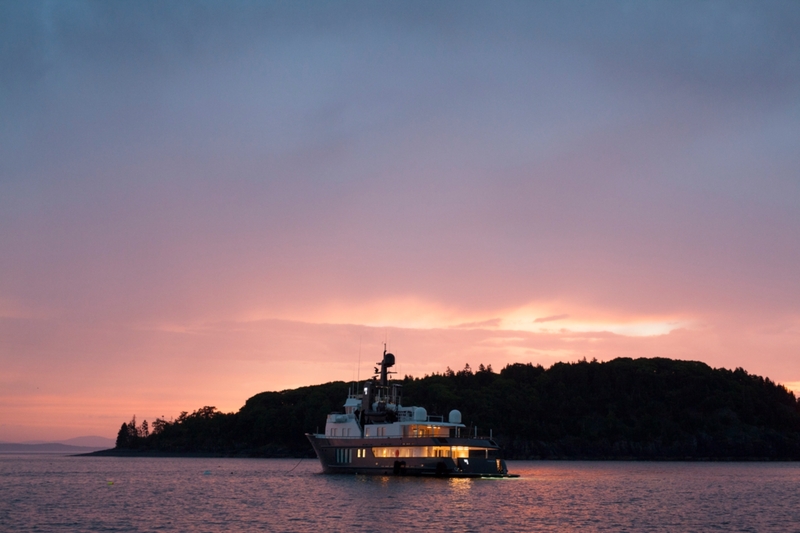 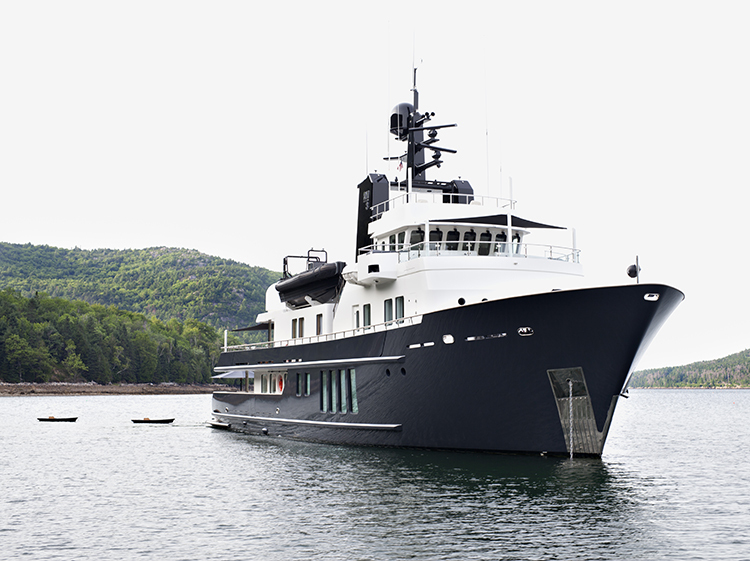 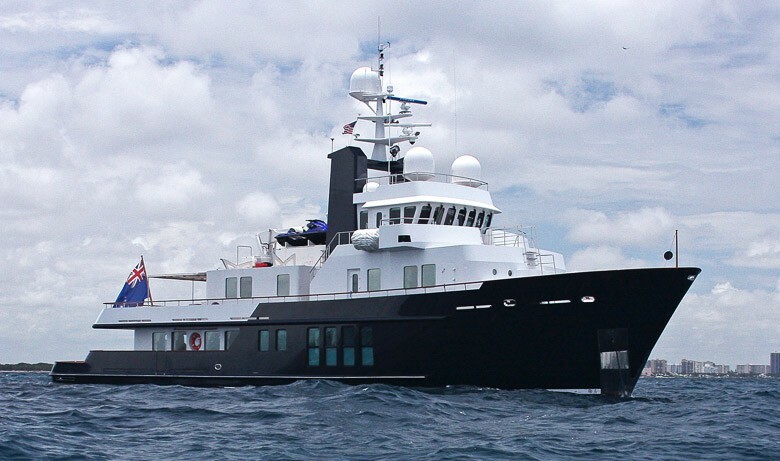 She underwent an extensive refit in 2016, which was completed by Rybovich of Florida. 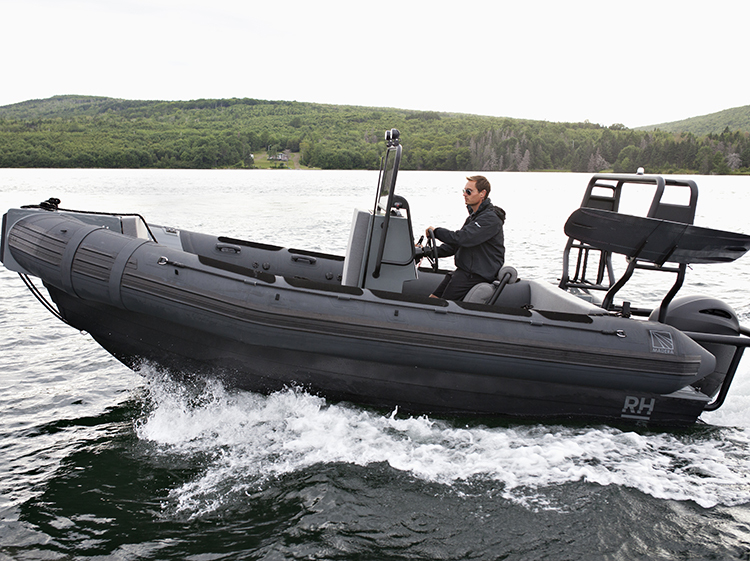 A versatile no-nonsense-go-anywhere explorer vessel without compromises. 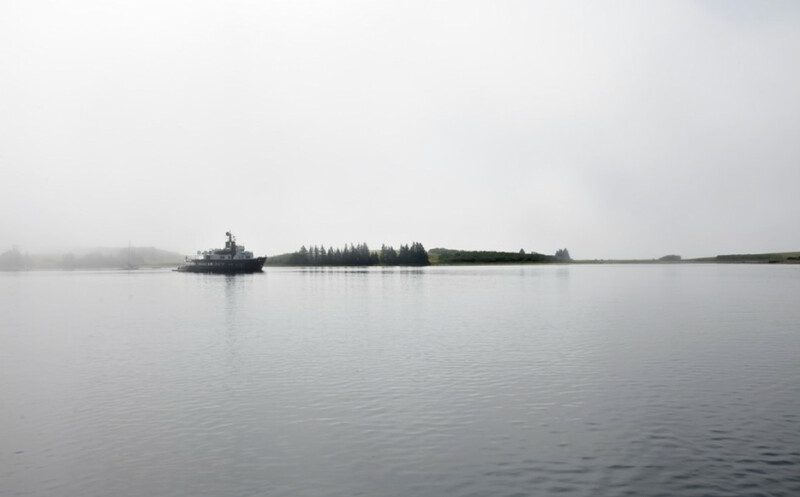 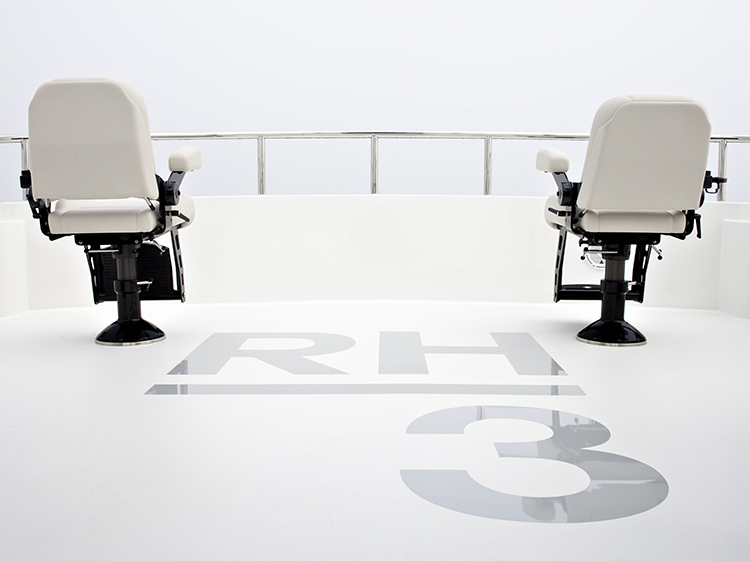 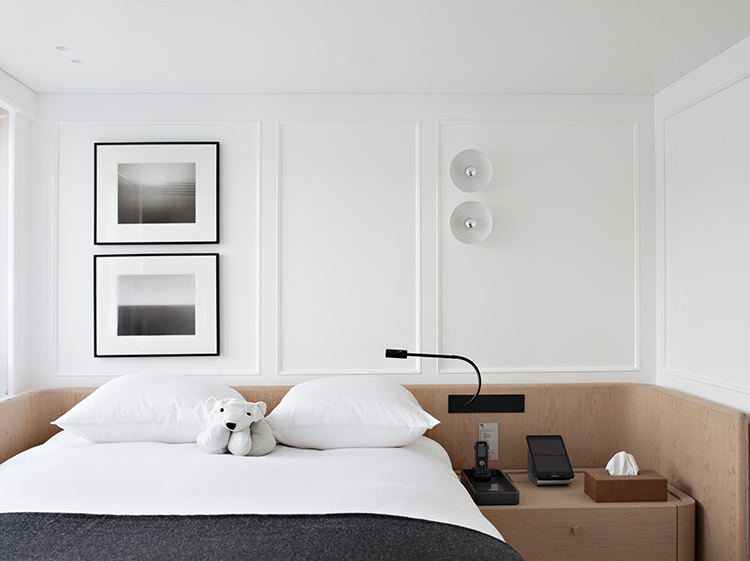 RH3 was designed by Vripack to take guests to the furthest corners of the world. 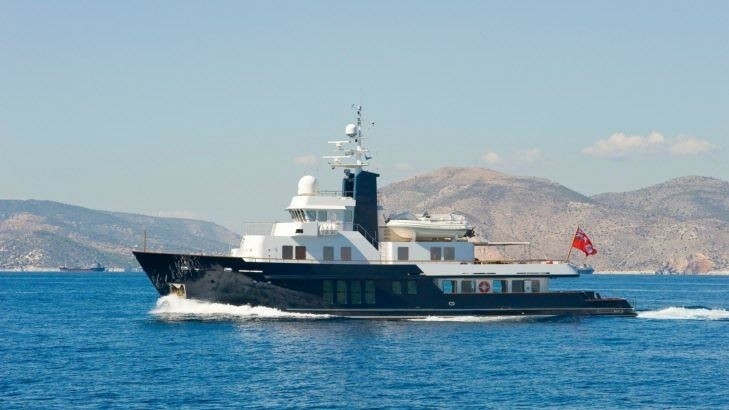 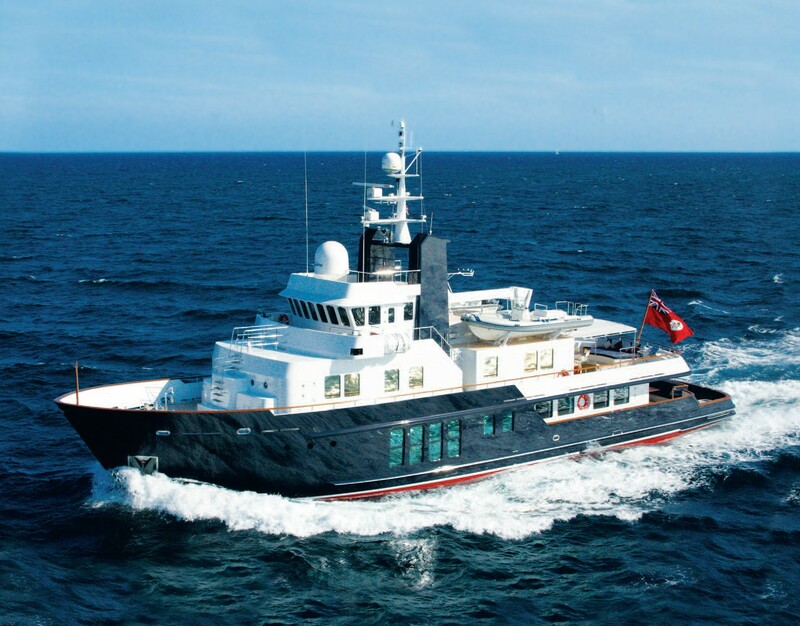 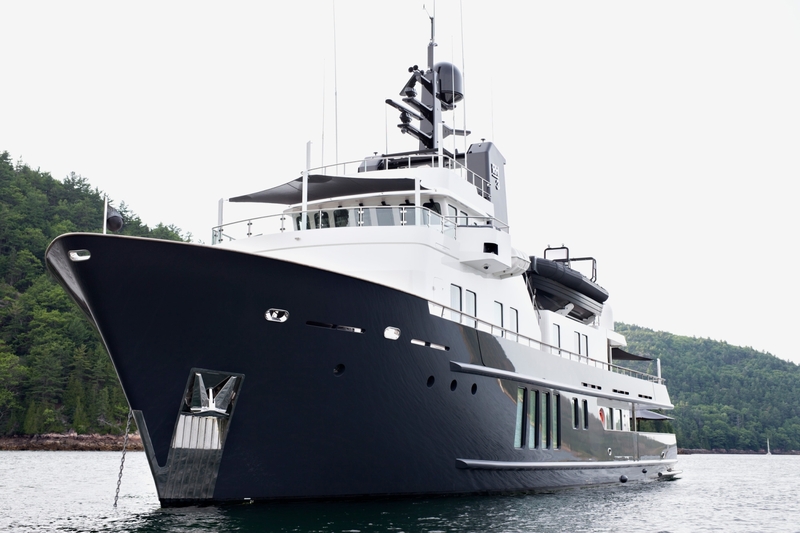 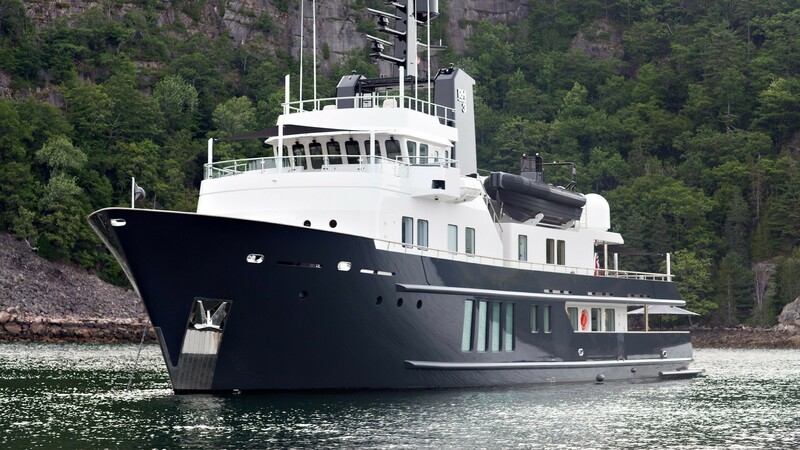 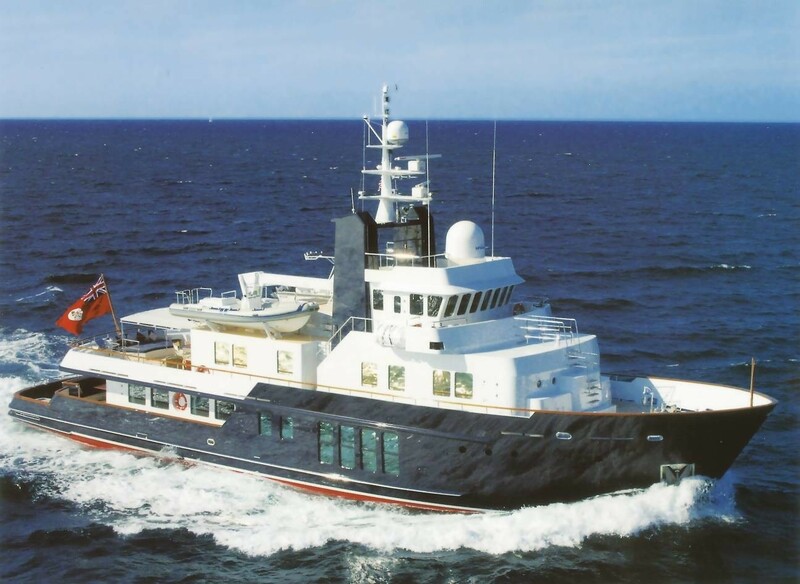 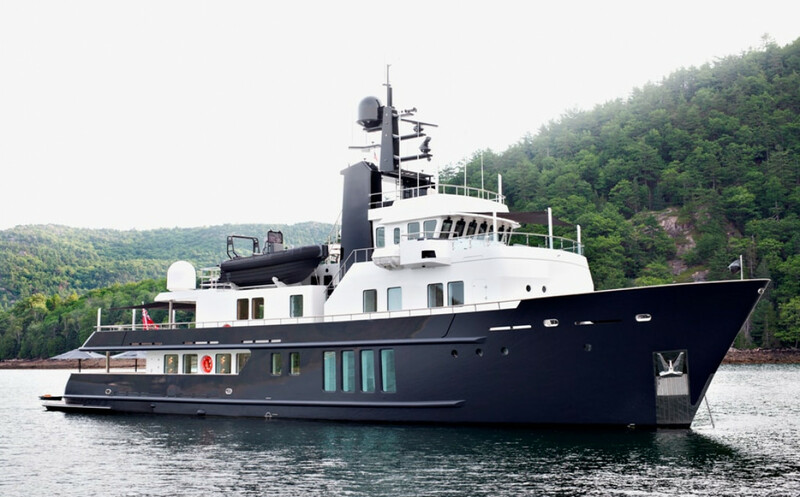 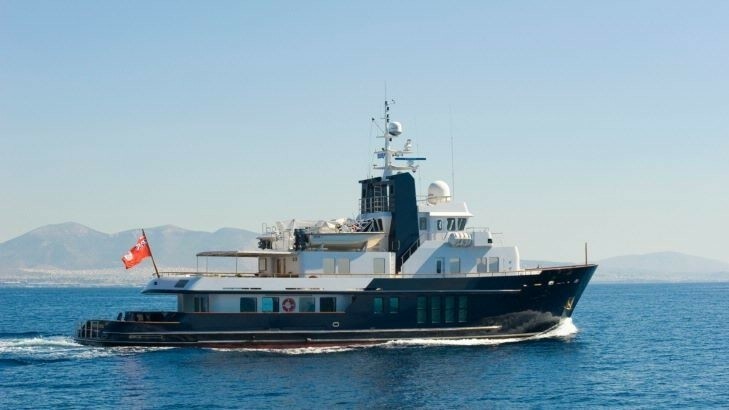 She was originally launched in 2003 and presented in immaculate condition with a calming interior design by Vincent van Duysen after an extensive rebuild in 2016. 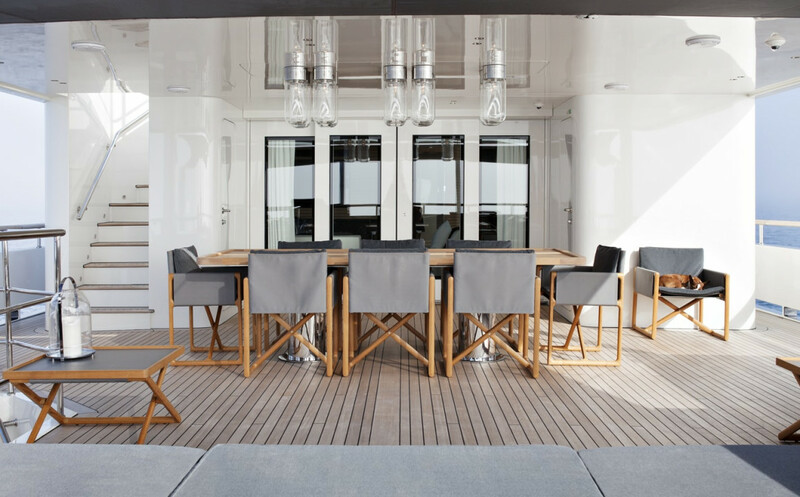 This motor yacht provides a very spacious and interesting interior layout, with a contemporary and traditional manner of styling, by Vincent Van Duysen. 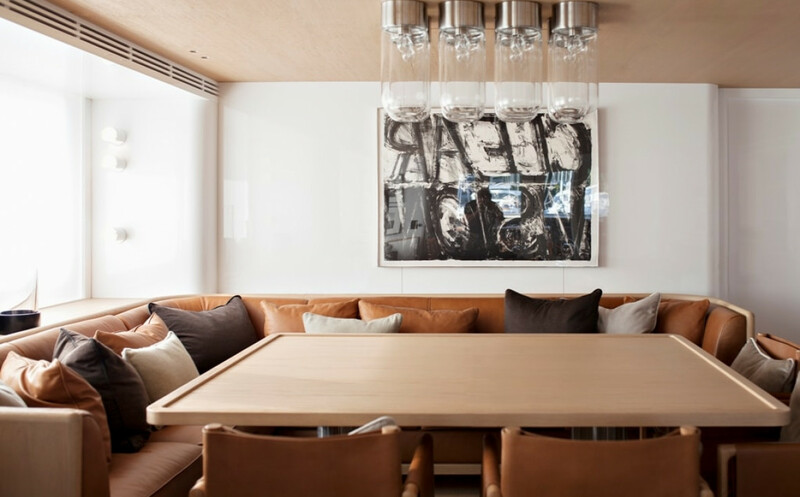 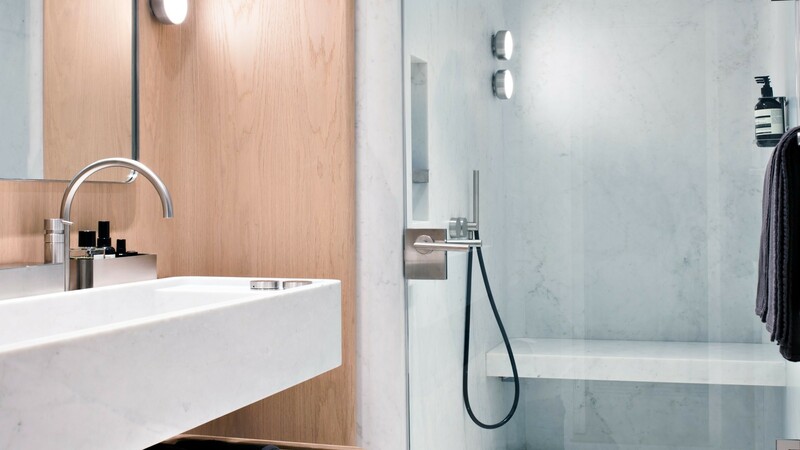 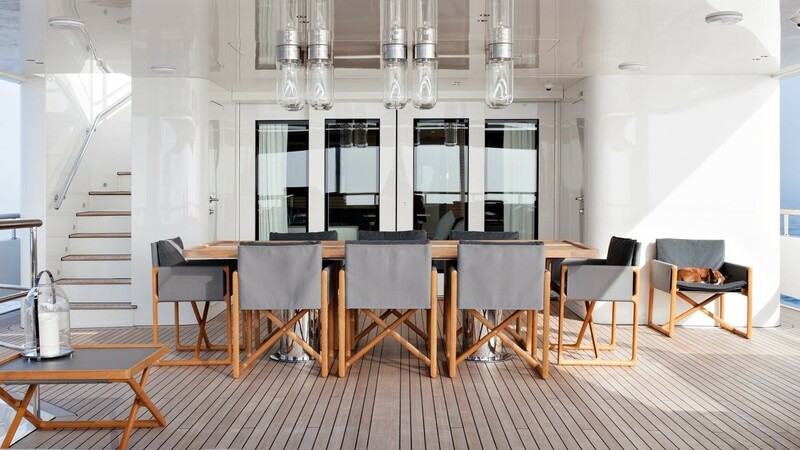 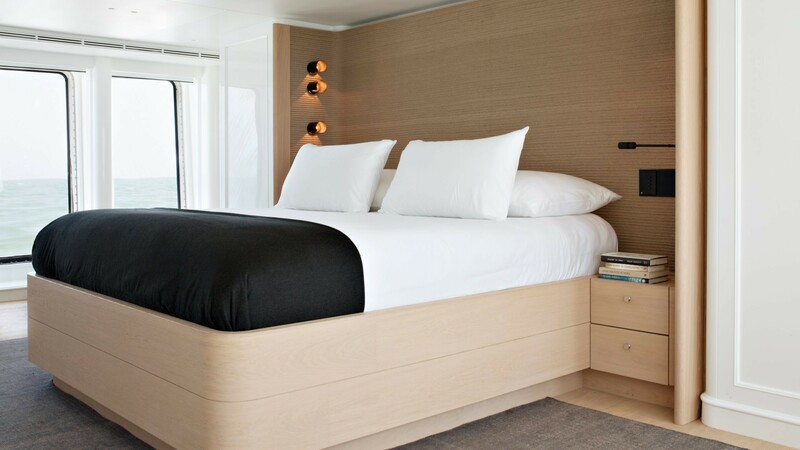 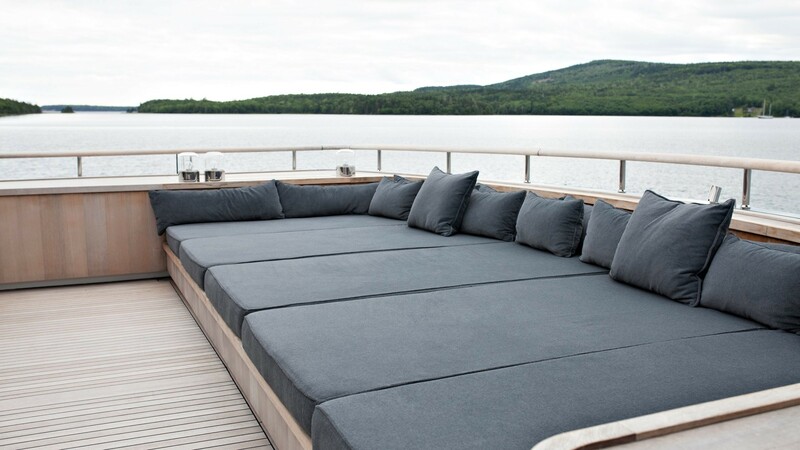 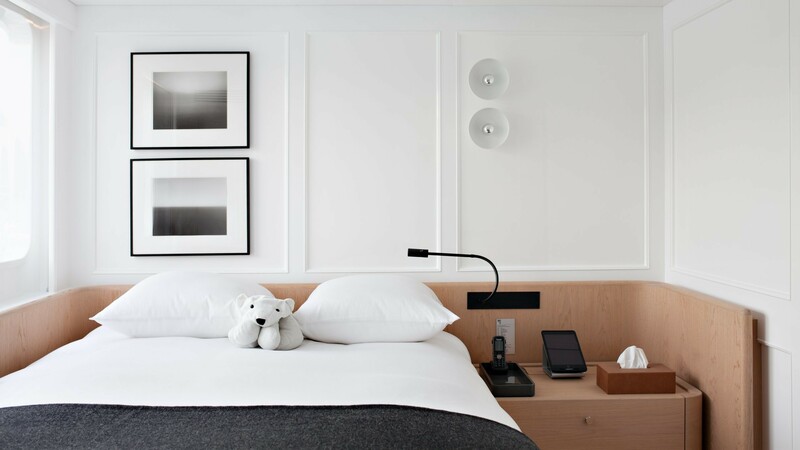 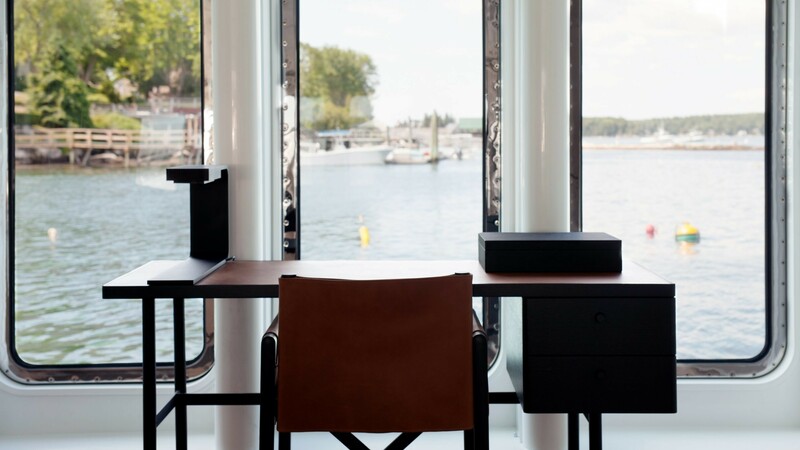 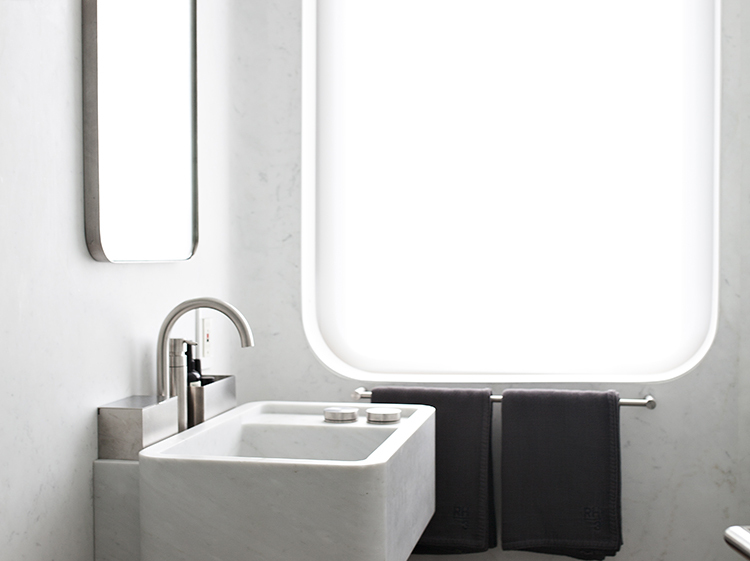 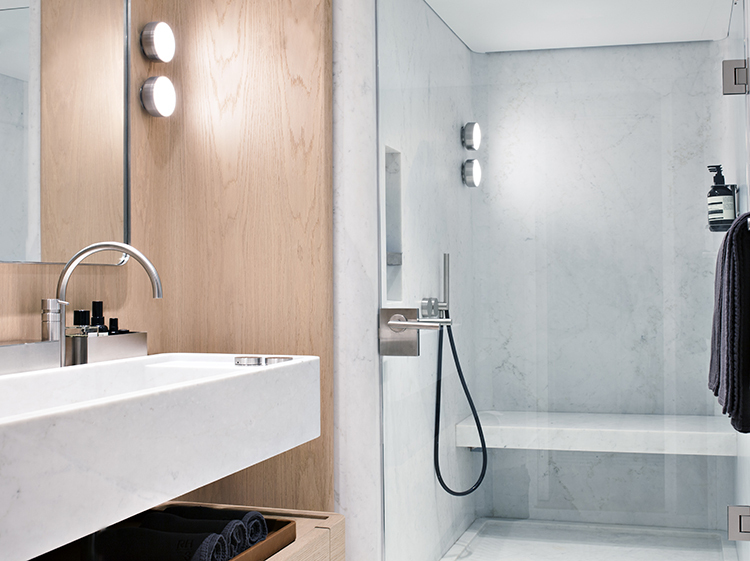 Throughout the yacht, neutral and timeless tones create a sense of minimalistic sophistication. 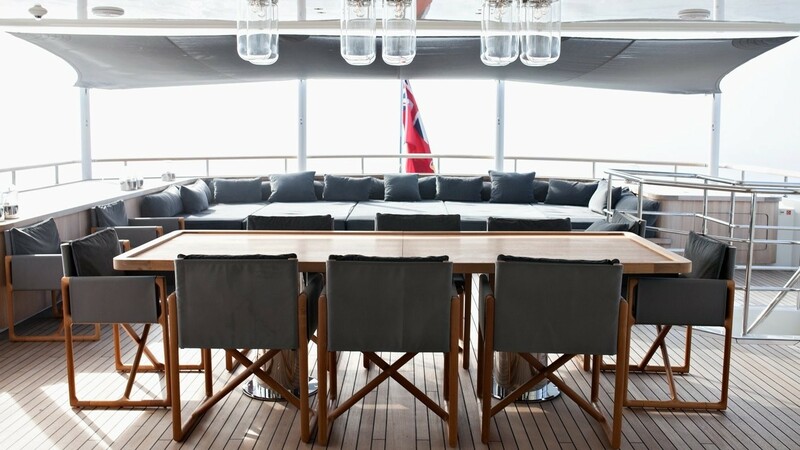 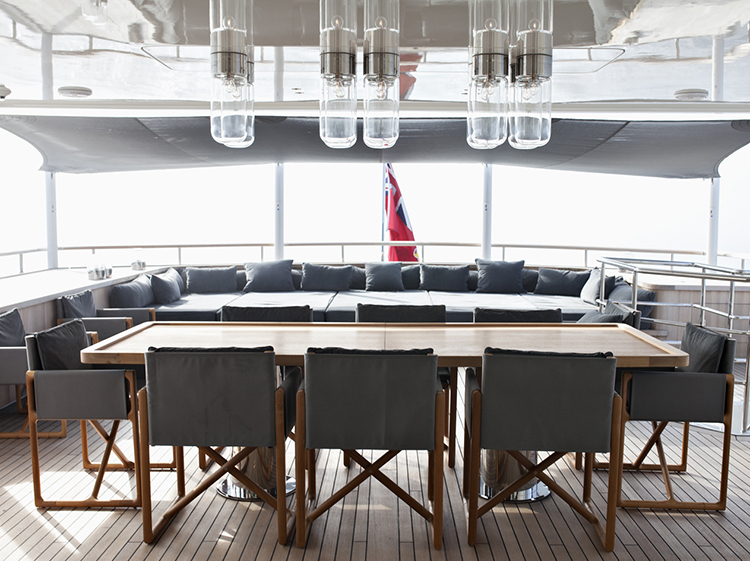 On the main deck the salon and dining is open plan, offering the lounge aft and dining forward. 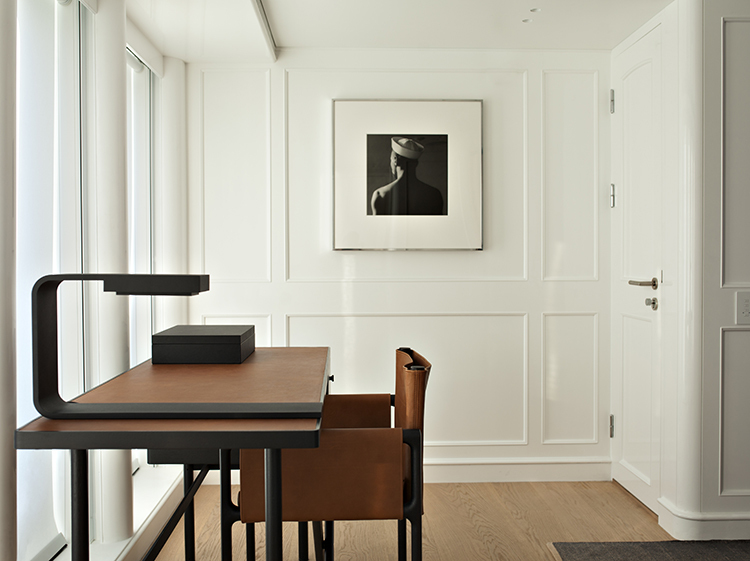 With large windows surrounding the salon, as well as aft facing windows and doors, the space is light and airy. 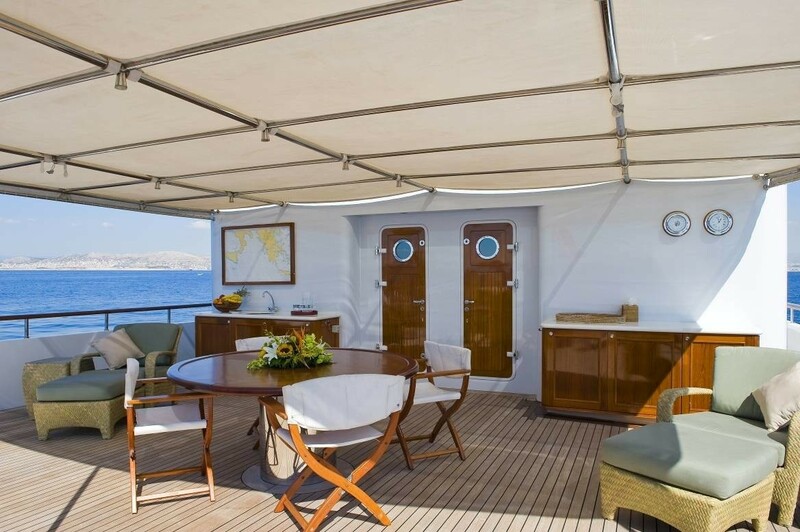 Forward of the salon to starboard is a guest cabin, day head and foyer to the master stateroom. 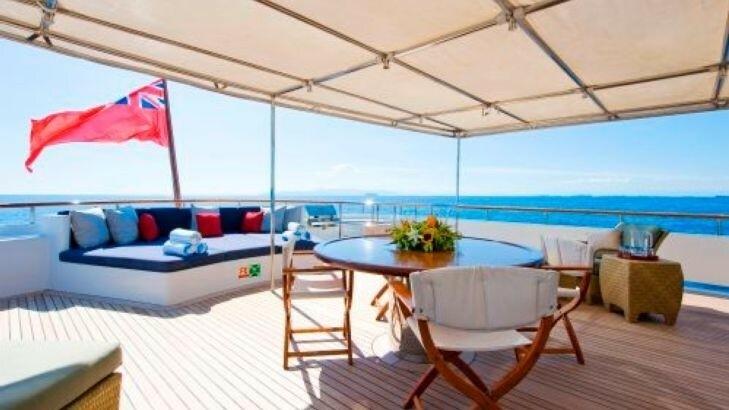 Her master cabin has a king size bed, private office, lounge sofa, walk in wardrobe and large ensuite. 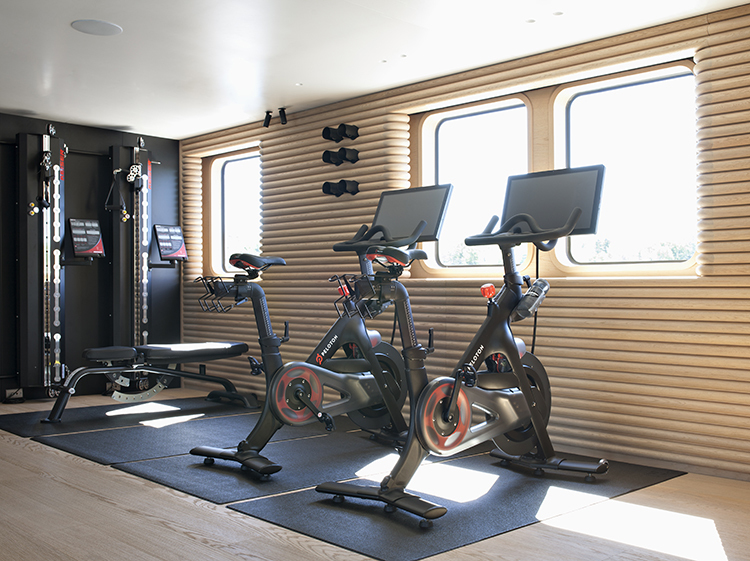 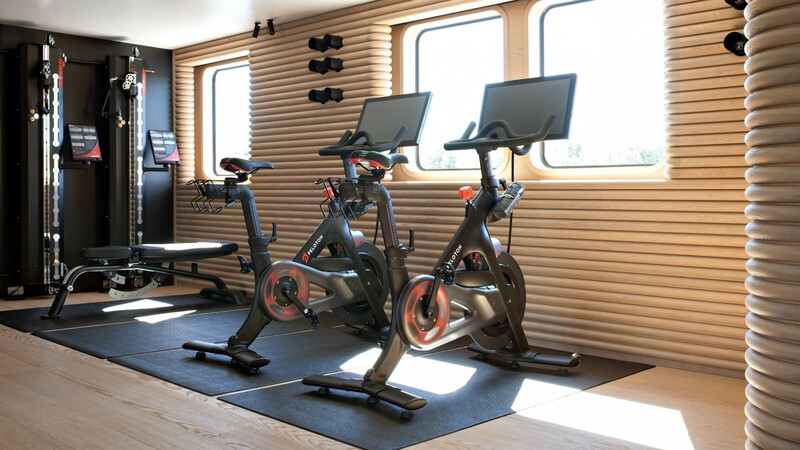 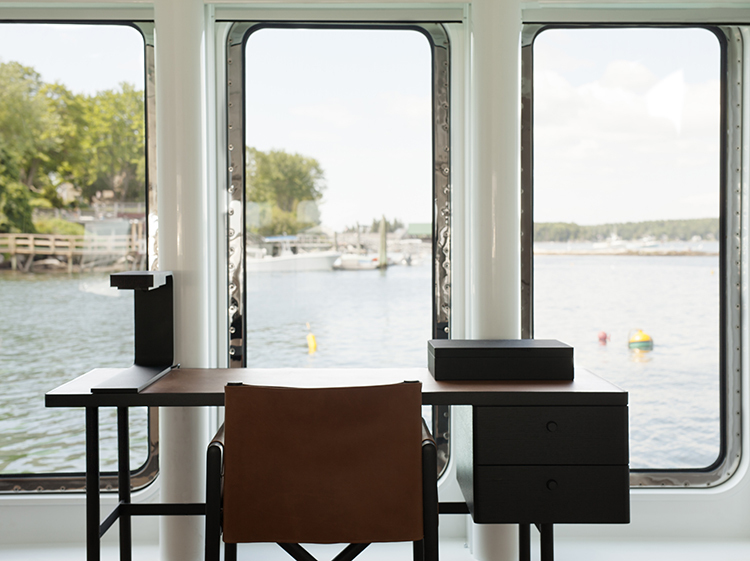 On the upper deck is a skylounge with exceptional views from panoramic windows, complete with a generous L shaped sofa, occasional chairs, tables and gym equipment. 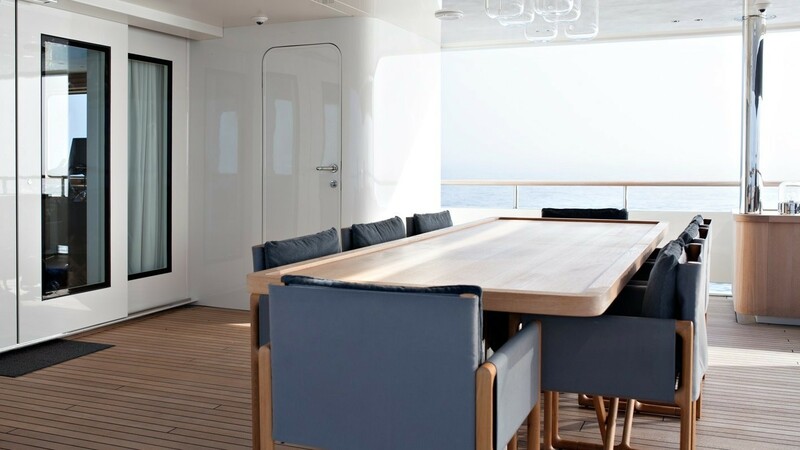 A foyer leads to a twin cabin to port, followed by 2 mirror image queen guest cabins, on port and starboard. 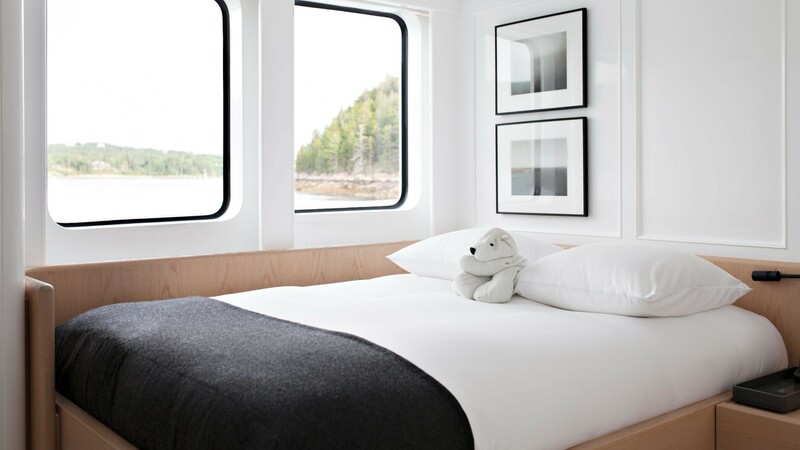 All guest cabins offer fantastic views, ample natural light and private ensuite facilities. 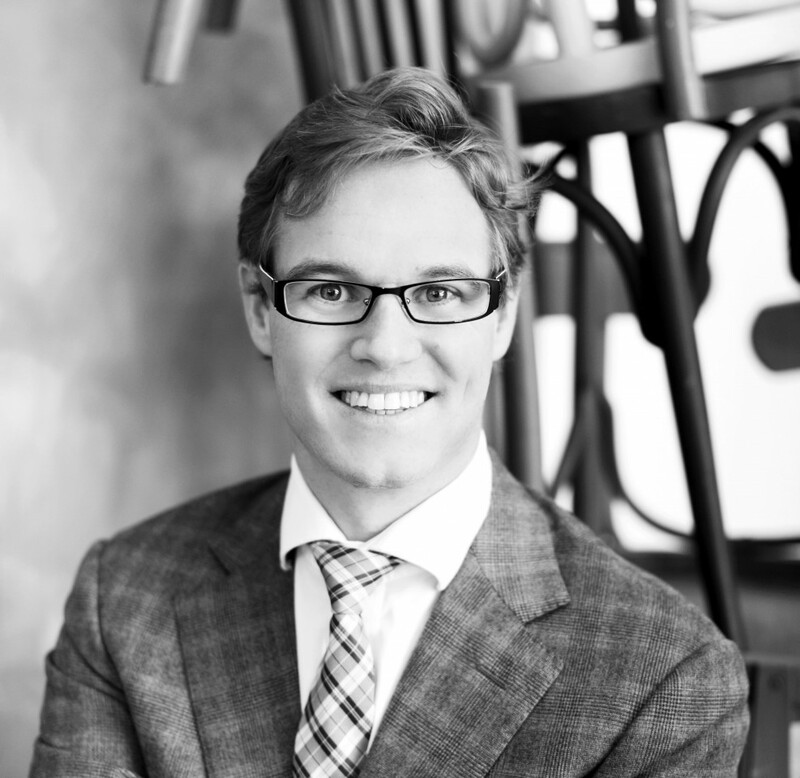 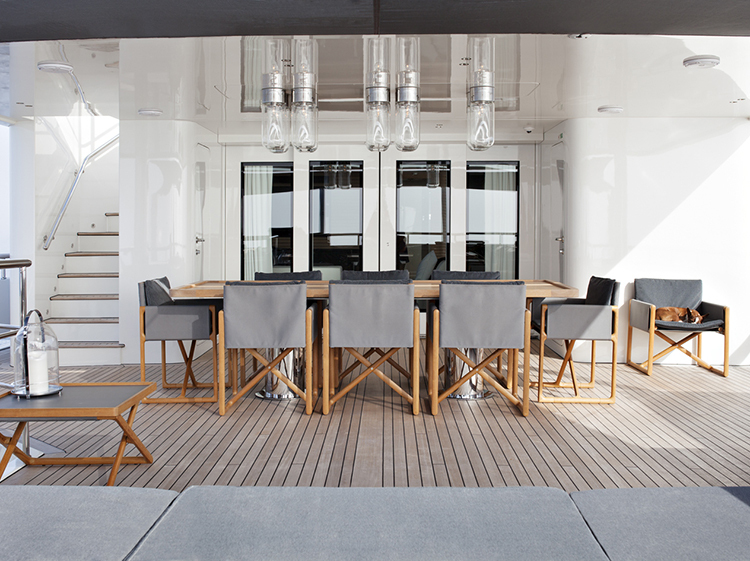 Exterior living is well-appointed and social. 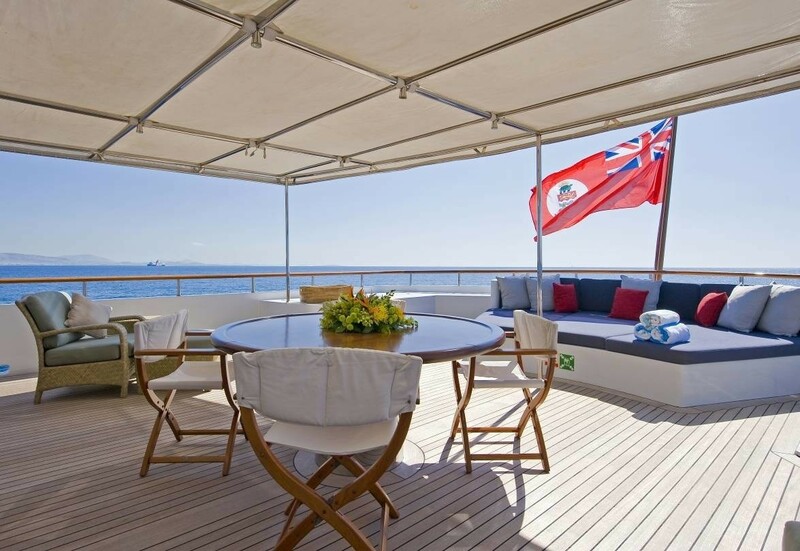 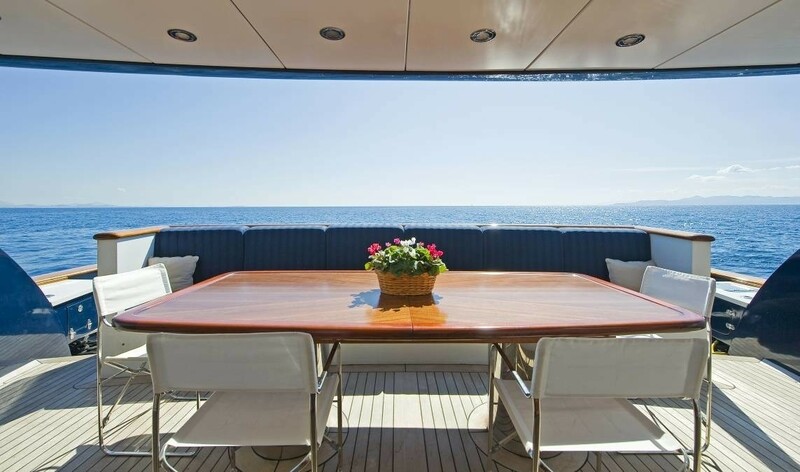 Aft of the main salon is a shaded deck with seating and an alfresco dining option. 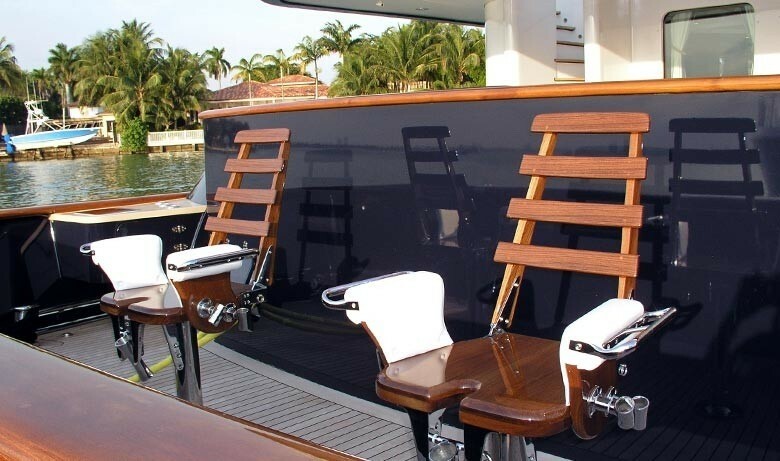 Further aft, a lower deck has 2 fitted fishing chairs. 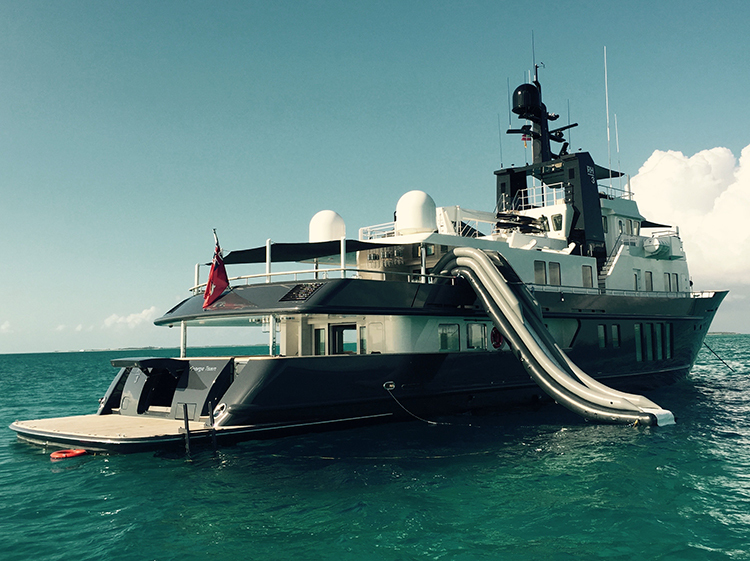 An extended swim platform on the transom features stainless steel rails for safety, while allowing for effortless water access to enjoy the good assortment of toys on offer. 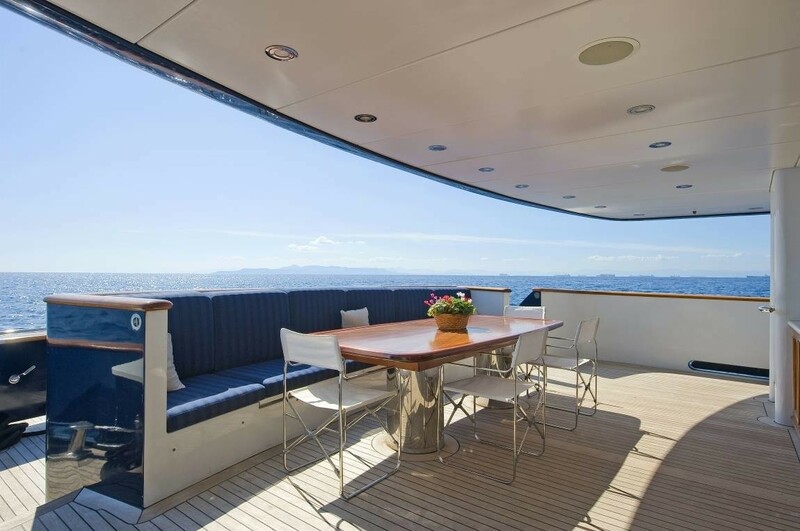 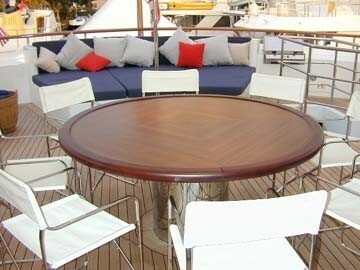 On the upper deck the yacht has a partial Bimini for those wishing to remain in the shade and an alfresco dining table. 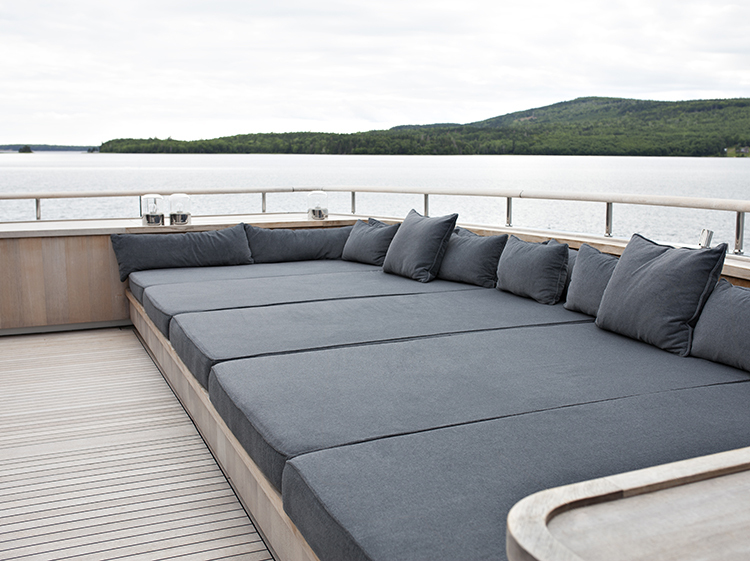 Aft is a large built in sunpad. 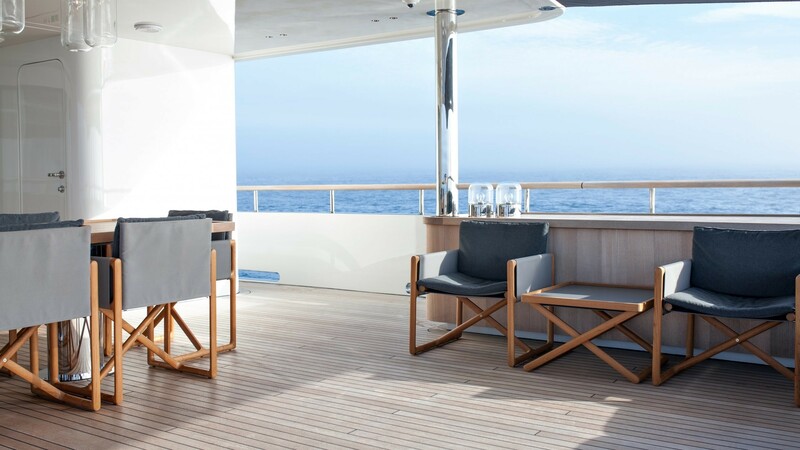 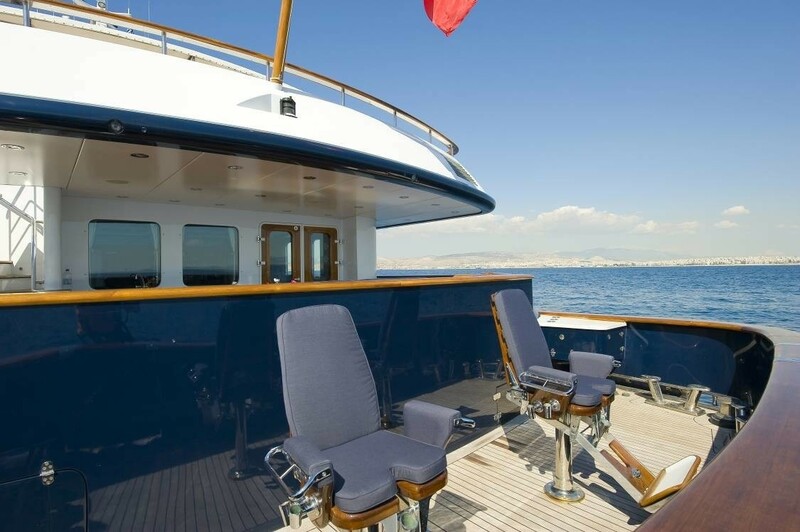 The upper deck has direct access to the interior skylounge, as well as steps leading to the lower aft deck. 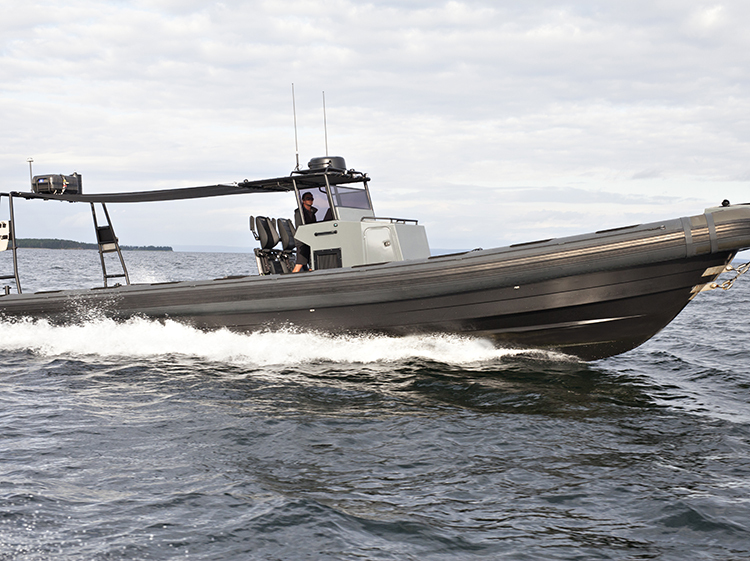 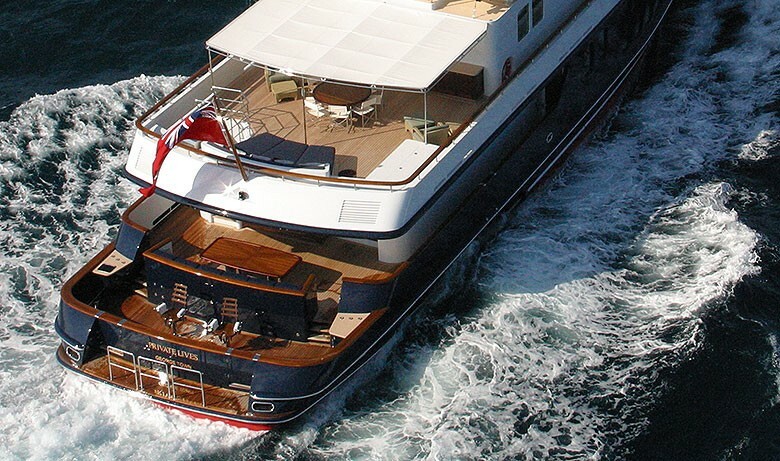 The explorer style yacht is powered by twin Caterpillar engines, providing cruising speeds of 10 knots and top speeds of 13 knots. 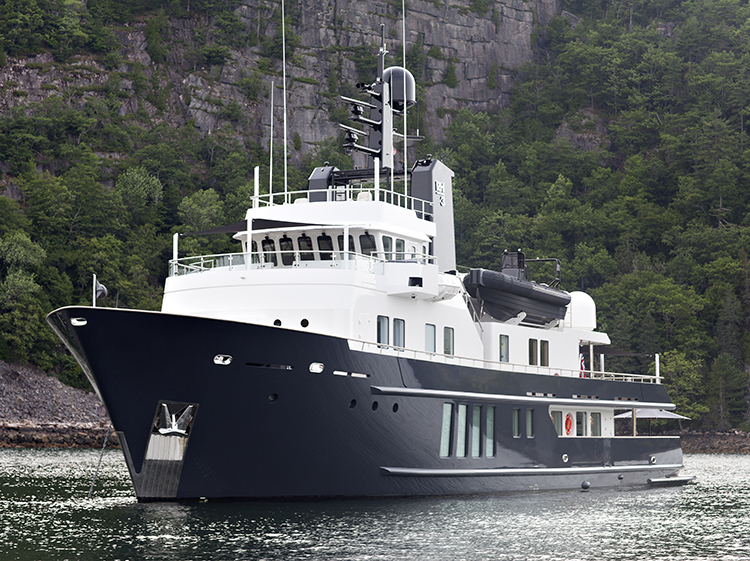 She has a range of 2000 nautical miles. 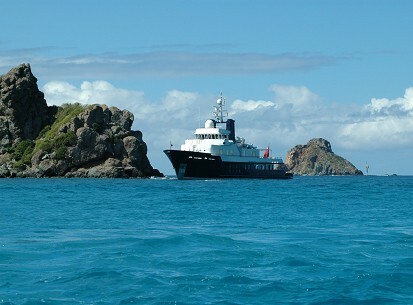 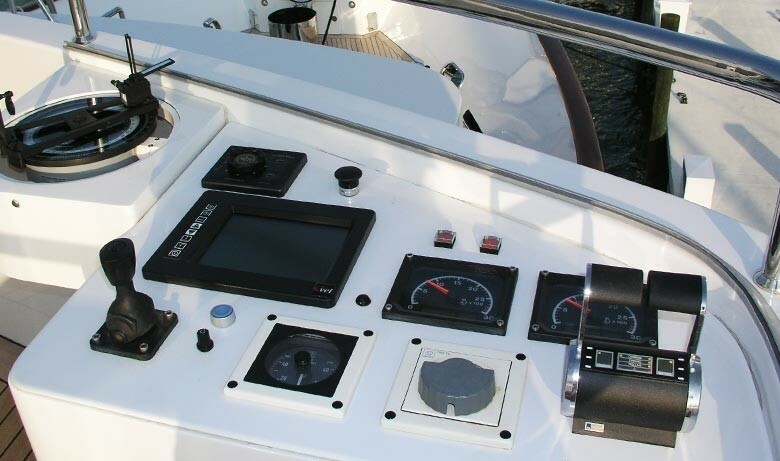 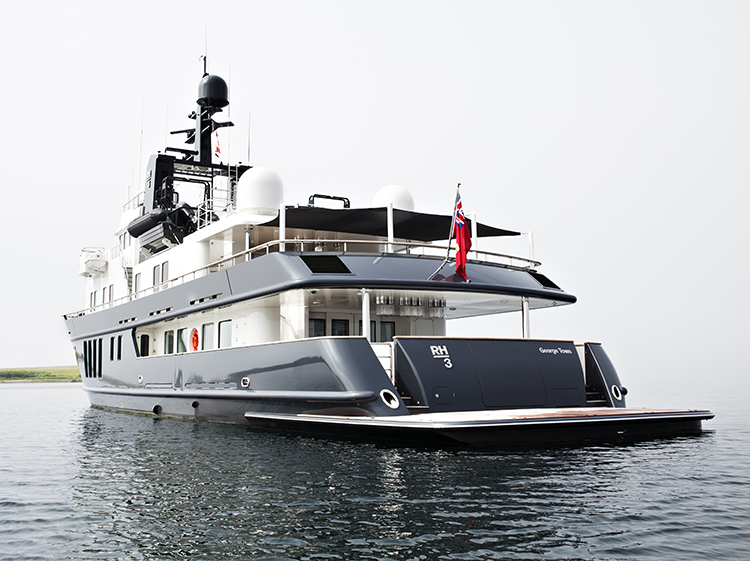 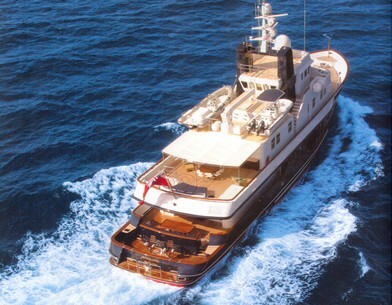 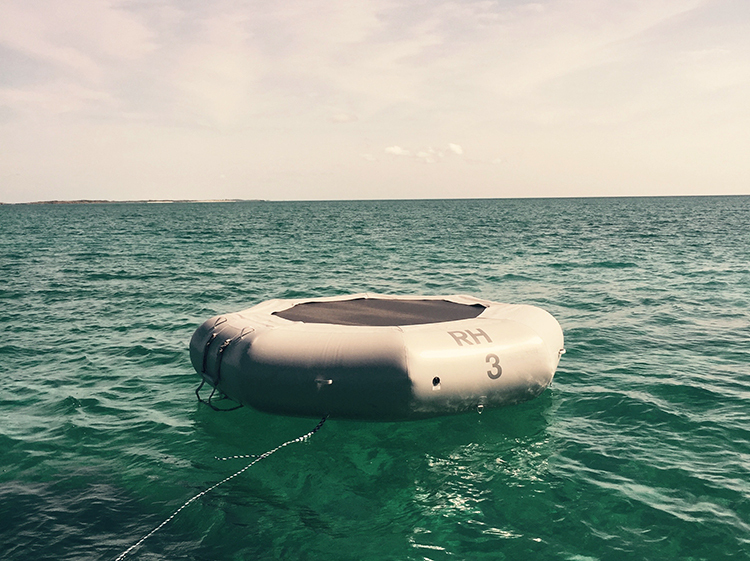 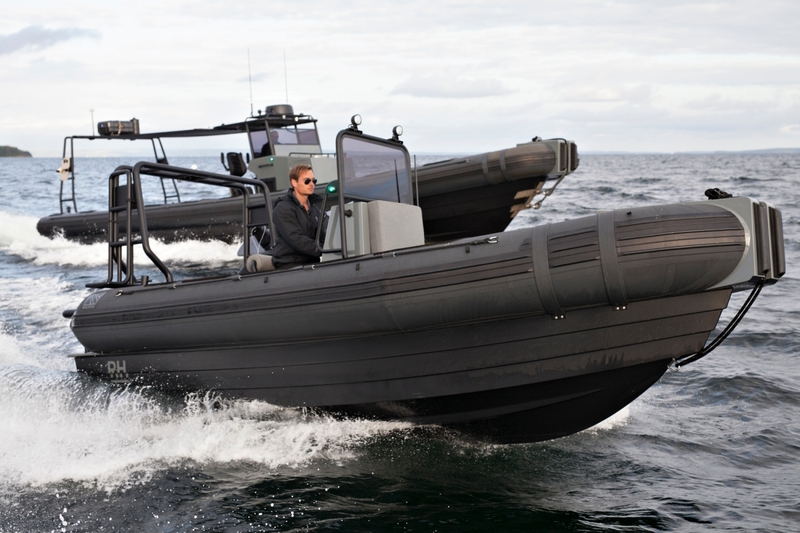 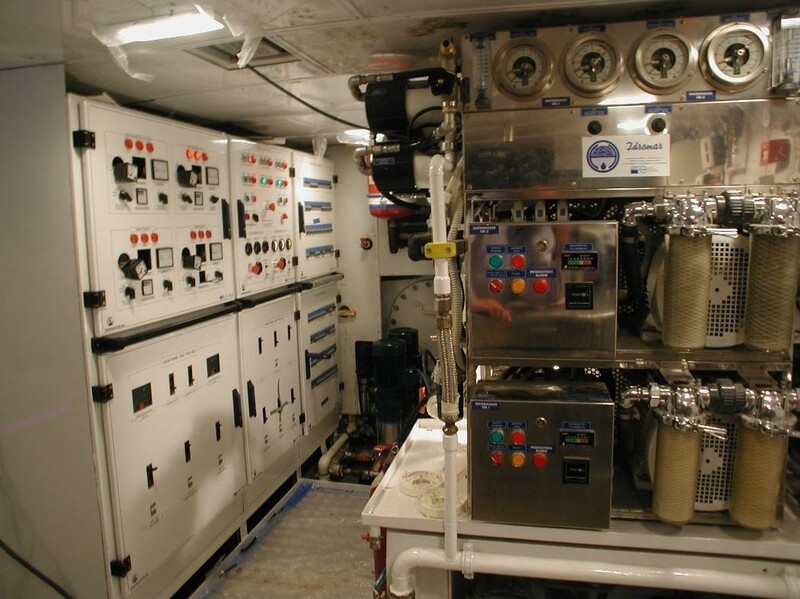 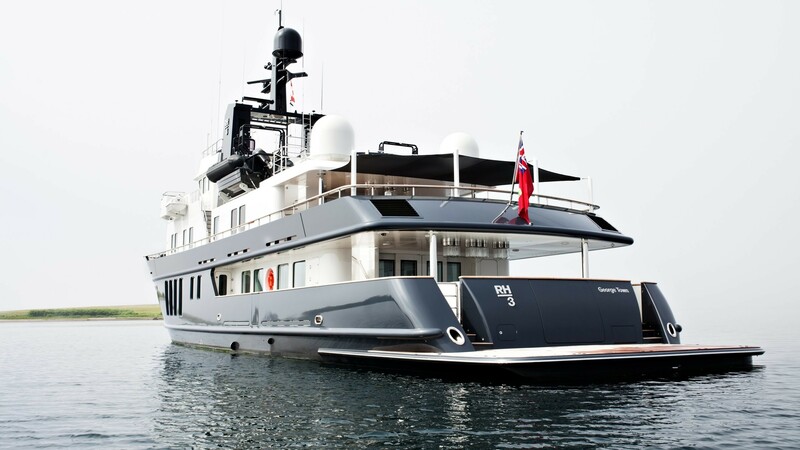 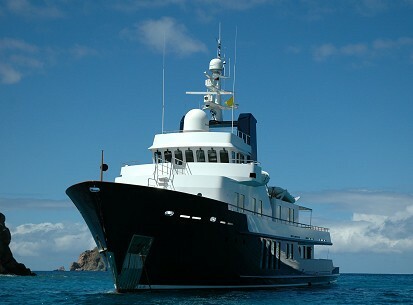 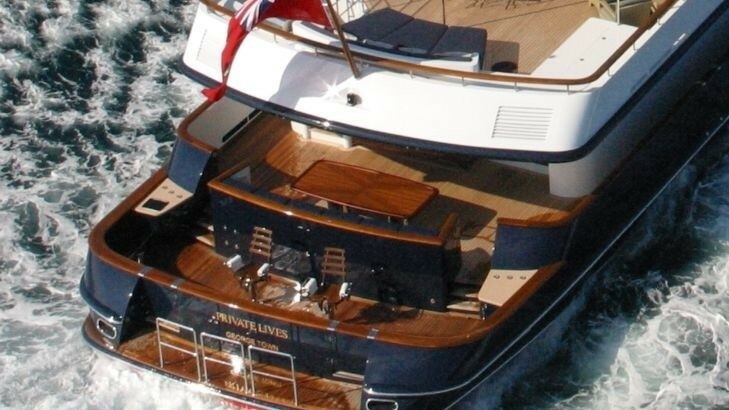 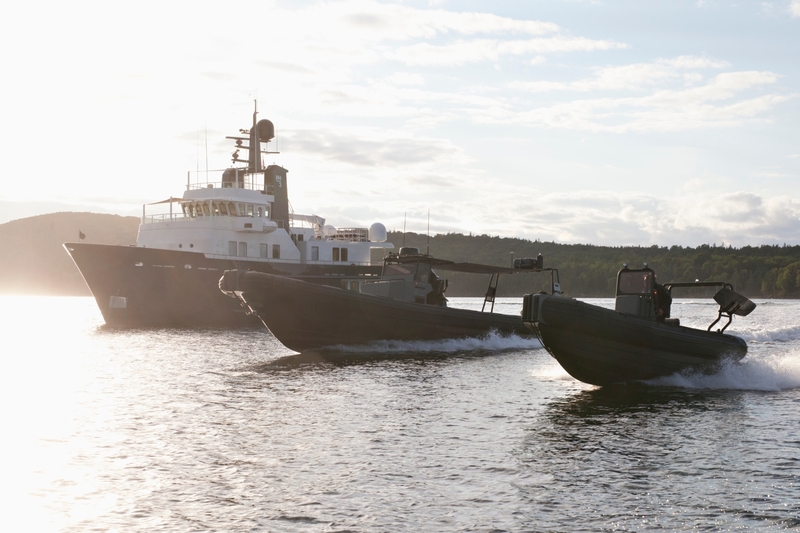 Yacht RH3 is fitted with both at anchor and underway Naiad stabilizers. 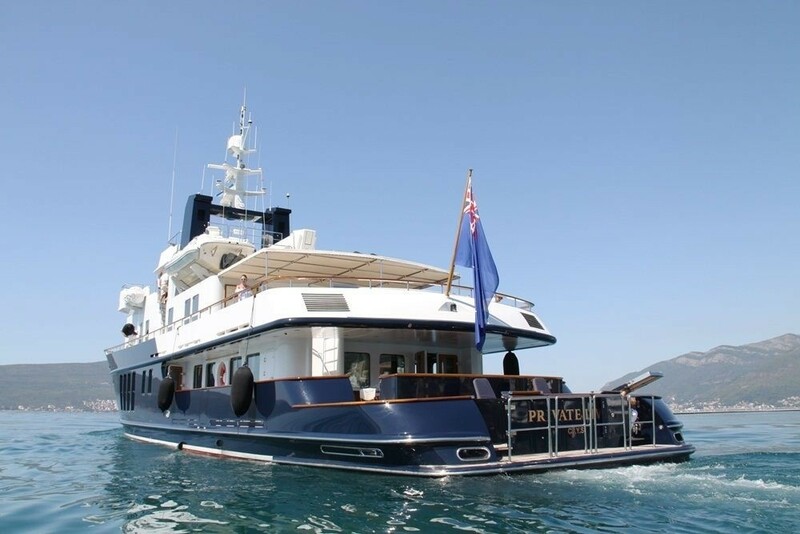 Accommodation is in 5 ensuite cabins, for 10 guests. 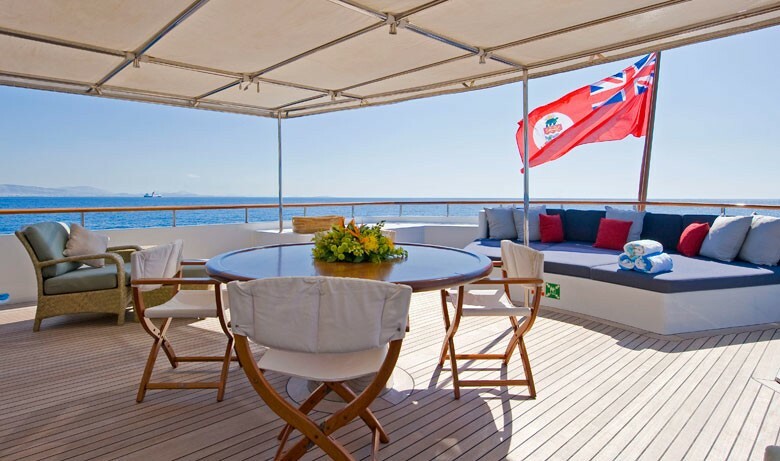 The master stateroom is on the main deck and full beam of the yacht, with a king size bed, sofa, desk, walk in wardrobe and large en-suite. 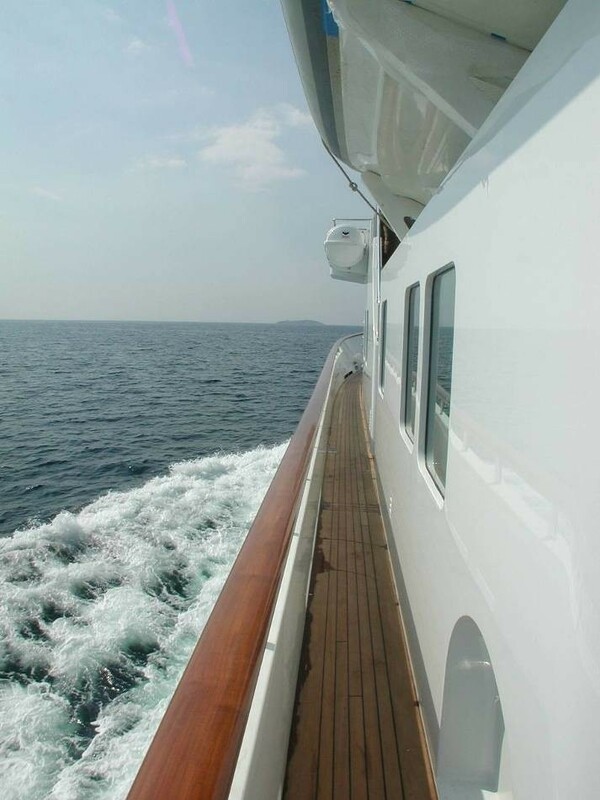 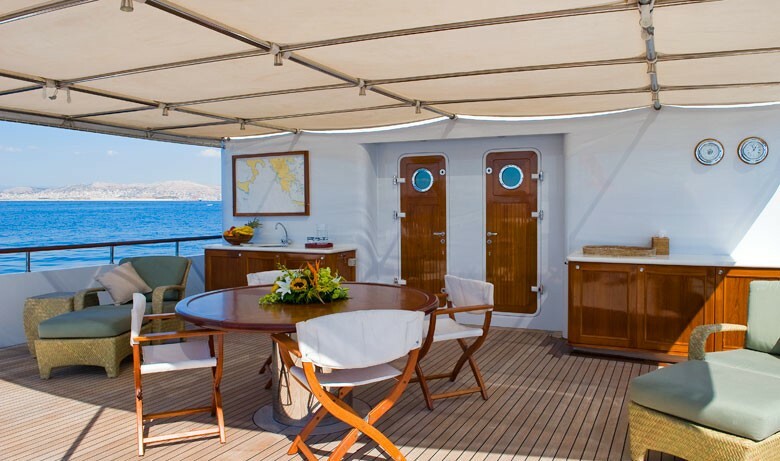 On the main deck to starboard and aft of the master cabin, is a guest twin cabin. 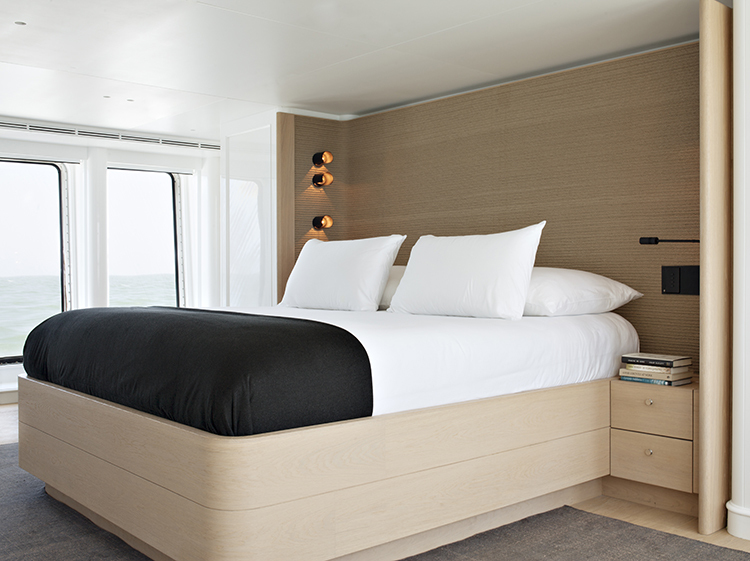 Further accommodation is on the upper deck in 2 mirror image double cabins with queen size beds and on cabin with twin beds.